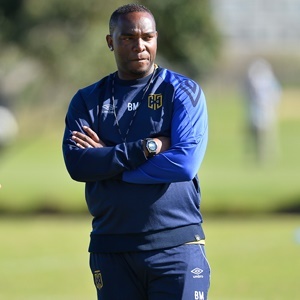 Cape Town - Benni McCarthy has enjoyed an excellent start to his Premiership career and says he knows exactly what he wants from his Cape Town City side. The Citizens have started the season well, and have won their first two games, and currently find themselves second on the league table behind surprise leaders Maritzburg United. And McCarthy has said his plan at the club is to get the players enjoying their football, which will be followed by results. "We are all young guys and we are ambitious, our approach with the players is completely ... I won't say 'chillaxing', but we are not marshalling them with a big cane behind," McCarthy said about the club's young technical team which also includes assistant coach Ian Taylor and goalkeeper coach Calvin Marlin. "We give them the freedom and want them to enjoy themselves, but within the system we want to play. "I just want them to play with a smile on their face and then things will come off," he added. The Citizens welcome Kaizer Chiefs to Cape Town in the league on Wednesday next week, and will be confident of continuing their good start to the campaign against the stuttering giants. Meanwhile, on Sunday afternoon they travel to Bidvest Stadium for an MTN8 semi-final second-leg clash against Wits. The first-leg ended in a 1-0 victory for the Mother City club.